VG: in very good condition with dust jacket. 320mm x 230mm (13" x 9"). 59pp. Illustrated in colour by the author. Good. Reprint. Light wear to boards. Content is clean. Good DJ with some wear. Price clipped. Very Good. 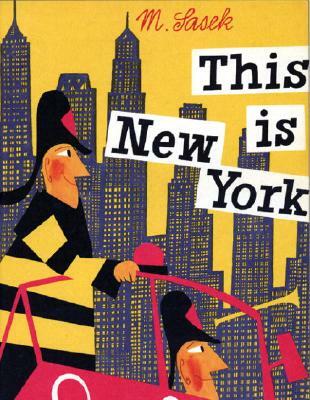 First published in 1960, Sasek's vision of New York still remains fresh. He captured the essence of New York that delights children and parents, many of whom who will remember the book from their childhood. Full-color. Picture book. Sewn binding. Cloth over boards. 64 p. Contains: Illustrations. Artists Monographs. Mr. Sasek has a wonderful eye and hand. He is keen observer.If you know or love this city this book will bring a big smile to your face.